With car sharing programs becoming more and more popular and self-driving cars starting to ease out of the testing grounds and onto the streets, our relationship with the ol’ automobile is undergoing a huge change. What better time to shake off the shackles of the car than on vacation, when you can enjoy the many benefits of self-propelled adventuring while getting the best value from your trip? 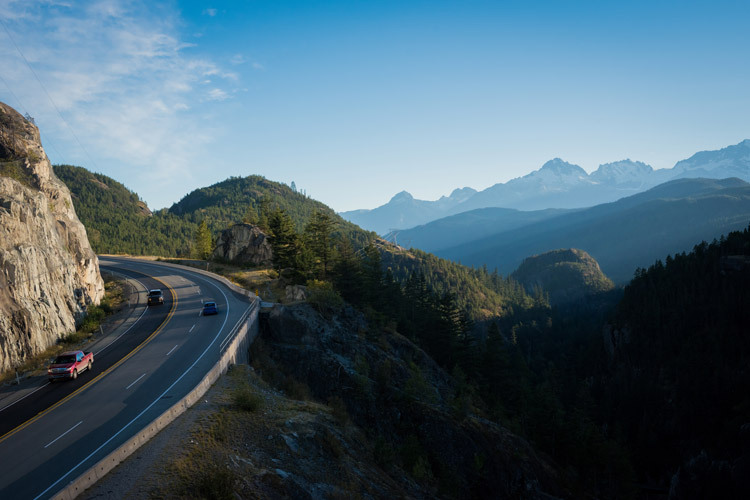 We’re approximately two hours away from Vancouver and two-and-a-half hours from Vancouver International Airport (YVR) by road, and there’s a plethora of transfer options to get you from the city to the mountains in comfort. 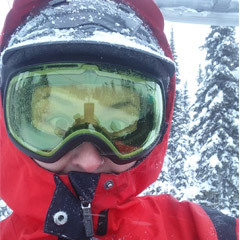 Dedicated shuttle buses running multiple services up and down each day, chartered vehicles of all shapes and sizes, even helicopter and floatplane transfers (seasonal) for an extra-special look at the mountains on the way. The best part of getting someone else to drive? 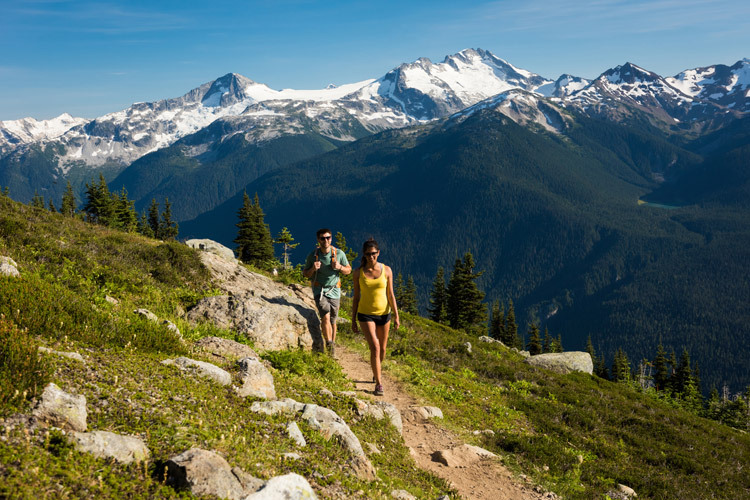 You get to soak up the views on the Sea to Sky along the way, and arrive rested, relaxed and ready to go. 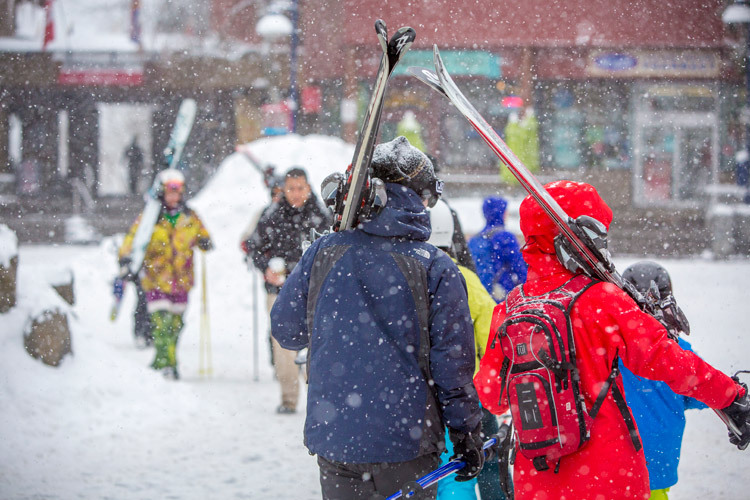 Whistler’s pretty compact, and the base village is designed with walking in mind with shops, restaurants, hotels and activity centres all lining the pedestrian-only Village Stroll. It’s a delightful meander through the European-inspired streets from one end of the Village to the other or from the Upper to the Lower Village – you’re on vacation, why rush? 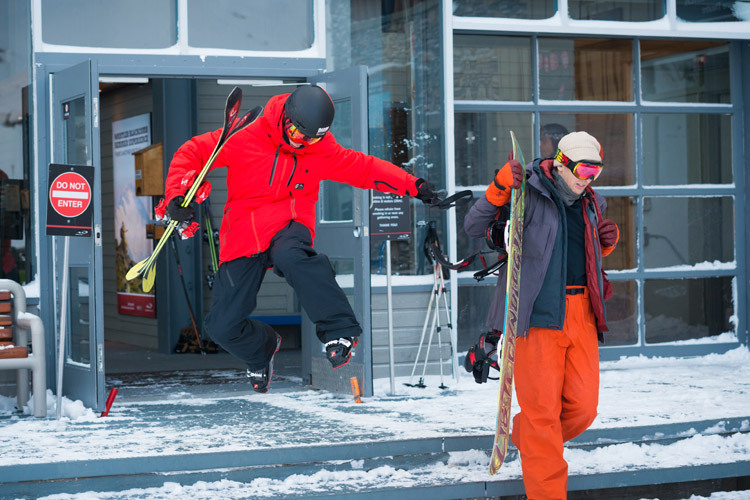 Access to the mountains is easy year-round with the lifts for the Whistler Bike Park, sightseeing, hiking and skiing converging on Skier’s Plaza at one end of the Stroll, with additional uplifts from the Upper Village and Whistler Creekside. 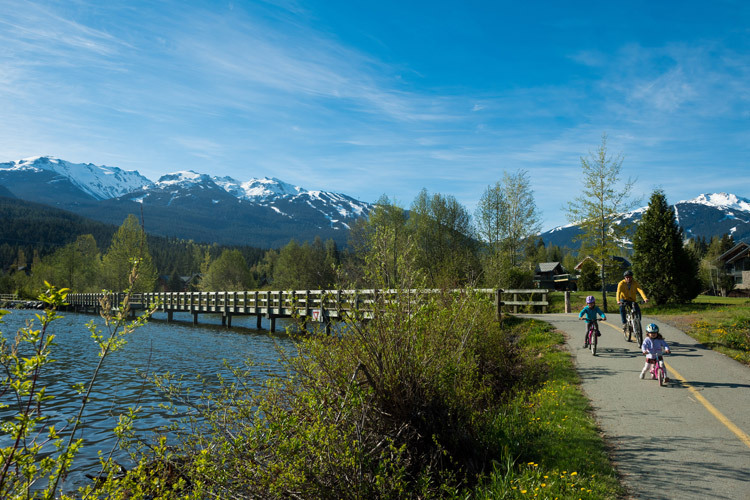 For exploring further afield – finding lakes, trailheads and other neighbourhoods – you can use the Valley Trail, which goes all the way through Whistler from one end to the other and is for non-motorised users only (e-bikes get a pass as long as the owners keep the speed to cruise). 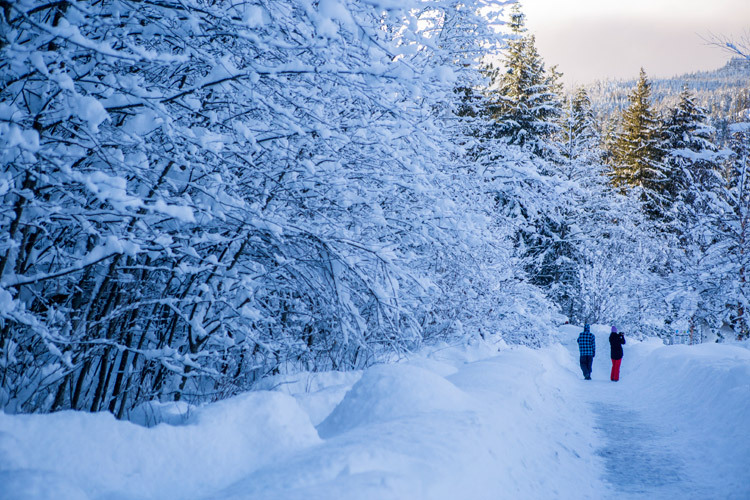 In summer you can walk, run, ride, roll your way from patio to picnic while in winter the Valley Trail is snow maintained making a fabulous way to walk around or try a fat bike rental – some sections are even groomed for xc skiing. 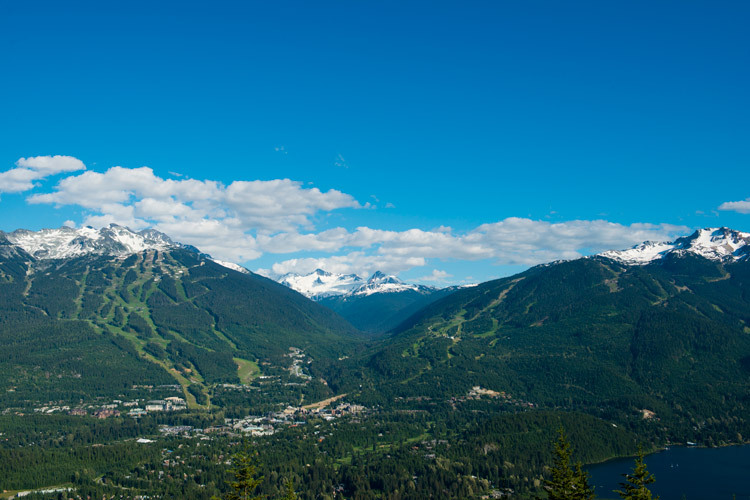 Whistler’s transit system services the resort from north to south, and it’s a popular way to get around at just $2.50 per ride. (Insider Tip: If you are in town for a short while, grabbing a sheet of tickets is the best way to pay the fare, as each ticket comes at a bit of a discount). 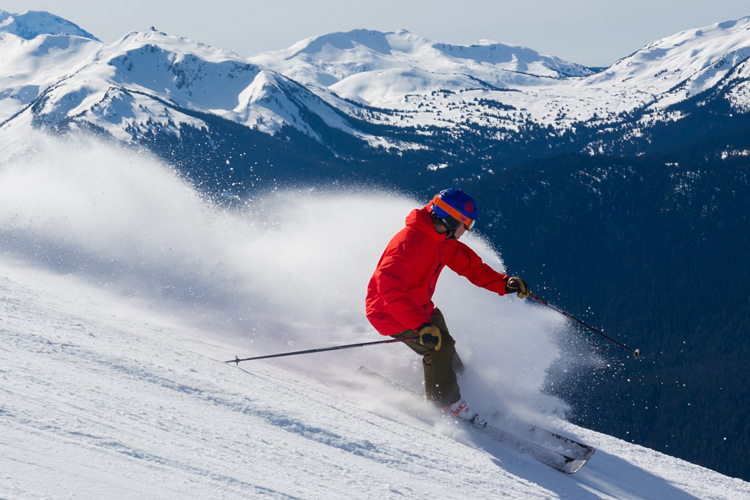 For getting directly from point A to B, Whistler’s taxi services run 24 hours a day through all weather, with the ability to carry ski gear, golf clubs and in some cases bikes, pets and wheelchairs – ask when you request the ride. 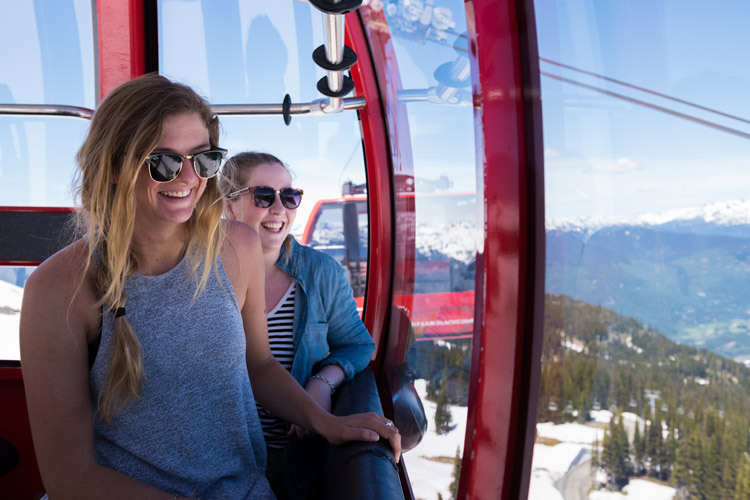 Hitting up Whistler’s summer and winter activities is no problem without a car – most of them either happen around Whistler Village, or the tour operators provide shuttles from the Village to get you to where you need to be. It’s also worth checking with your accommodation, as some hotels and complexes offer a complimentary shuttle service for guests looking to move around the resort. It’s easy enough to drive to the lake – but did you ever think of what you might be missing on the way? 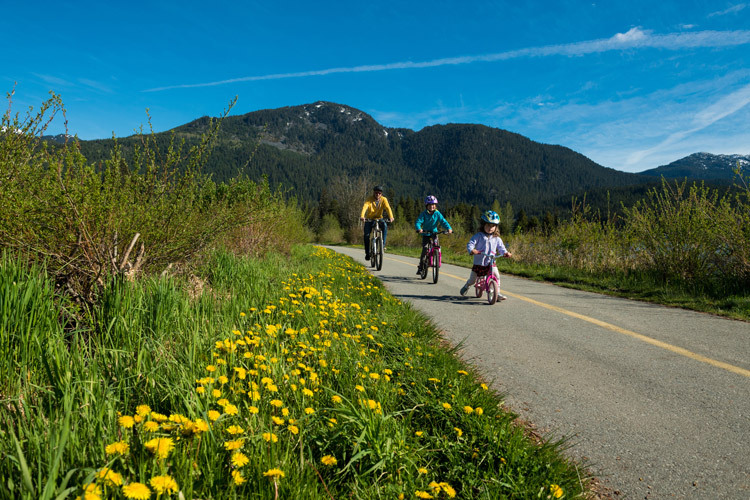 Walking or riding from A to B puts you in the great outdoors where you get fresh air, sunshine and lots of little viewpoints to explore that you can’t see from the road. Even in the Village there’s opportunities to be surprised – go for an old school walk and shop in summer and you could find a grassy green park just begging you to linger and read a book for a while. Take a slow wander to check out the holiday lights twinkling in the snow and you might just find a new favourite firepit. Remember, the journey is just as important (sometimes more so) than the destination. We all know the benefits. Even one less car means less air pollution, less noise pollution, less greenhouse gases being released. 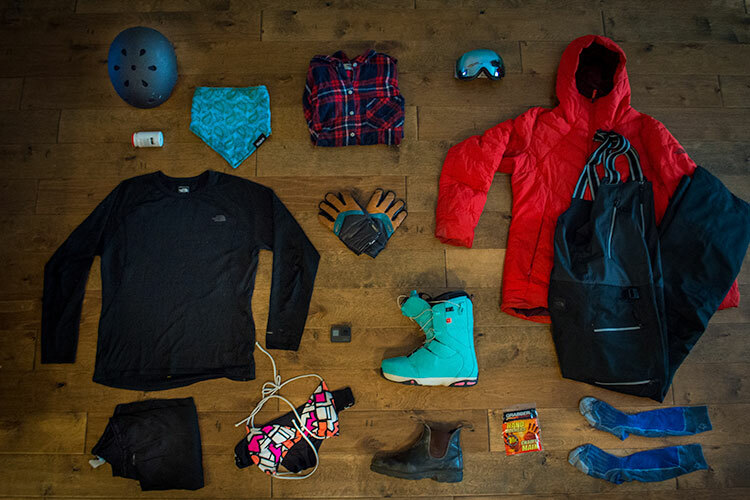 Chalk one up for fresh mountain air. First of all, getting someone else to drive completely removes any stress that might arise from a snowy highway drive, navigating a new environment and finding parking. But the benefits don’t end there. Even a small amount of exercise is good for your physical and mental health and leaving the car at home is a great way to encourage movement in your day. Plus, you’ll be getting much closer to nature which has all sort of health benefits. 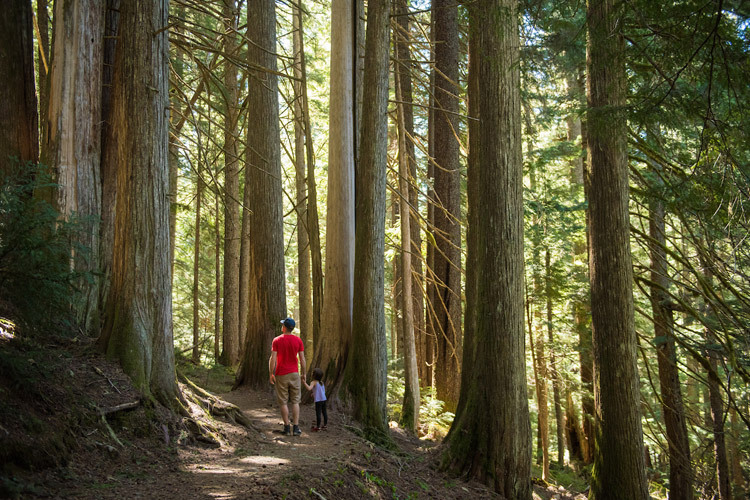 Even on the short walk between the Upper and Lower Village you’ll come across trees, green spaces and running water – a good dose of Vitamin N, for Nature. Lingering recommended. Gas, parking, insurance, rental fees, running costs – ditch the car and once your transfer is covered that’s cash that could be spent on renting a bike, paddleboarding and patios instead. 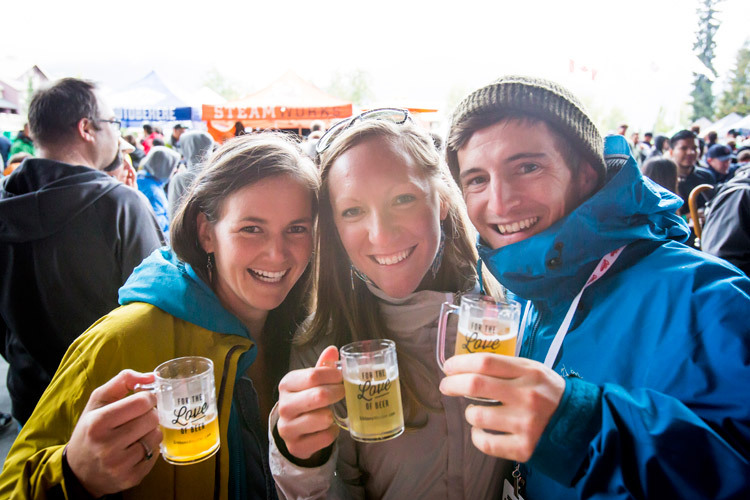 From the shuttle driver that knows the names of all the peaks in the Tantalus Range, to the bike store guy who gives you directions to his favourite lakeside spot, to the cute dog at the Whistler Farmers’ Market and the girl with the skis on her fat bike who tells you where to get the best coffee in town – there’s opportunities galore for making new friends and getting locals tips on things to see and do. Not to mention walking goes hand in hand with chatting – the natural time to catch up with the people you’re on vacation with. More moving, more discovering, more chatting with people and more adventures in general – chances are if you go car free you’ll sleep like a baby and come back from vacation in better shape than when you left. Isn’t that the point of a getaway, after all? Lean, green and clean – the benefits to going car-free are real. 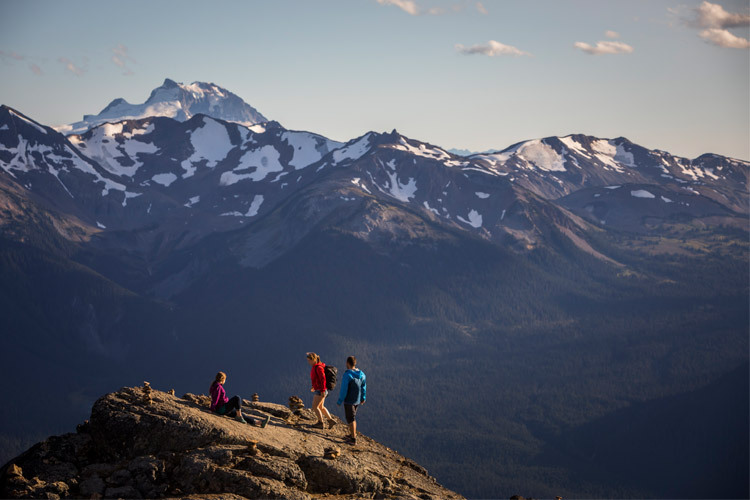 For all your summer and winter vacation needs plus assistance with getting here from anywhere in the world – hit up Whistler.com.